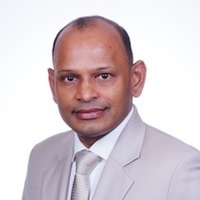 Prof Dr PE Seeram Ramakrishna, FREng is the Director of Center for Nanofibers & Nanotechnology, and professor of materials engineering at the Department of Mechanical Engineering, National University of Singapore. He is a Highly Cited Materials Scientist. He authored 6 books and ~ 600 ISI listed journal papers which attracted over 33,000 citations and 85 H-index. He is an editorial board member of ~ 10 international journals. His technologies have been translated into products which are available in several countries. He is an UNESCO expert of nanotechnologies for clean water. He received numerous recognitions including the ASEAN Outstanding Engineer Award; SBAOI CPS Biomaterials Award; China Chang Jiang Scholar, India Nehru Fellowship, NUS Outstanding Researcher Award and Singapore LKY Fellowship. He is an elected international fellow of Royal Academy of Engineering, UK; National Academy of Engineering, India; Institution of Engineers Singapore; ASEAN Academy of Engineering & Technology; American Association of the Advancement of Science; ASM International; American Society for Mechanical Engineers; American Institute for Medical & Biological Engineering; Institution of Mechanical Engineers, UK; and Institute of Materials, Minerals & Mining, UK.